Check us out at one of our upcoming bouts!
" What advice do you have for someone new to derby? Fear keeps us from a lot of incredible opportunities. Stop being afraid and just try it. If you fall, you get up and try it again. We all fall, what matters is that you get back up. Keep getting back up and stop comparing yourself to others; uniqueness is an incredibly invaluable quality. " " What do you love best about roller derby? The best part of roller derby is rolling on skates! Especially when I get to go fast! " "A doctor, a lawyer and a history professor walk into an outdoor roller rink. What happens next is a bit unexpected." So you want to play roller derby? We're recruiting the next generation of skaters. Email recruits@sfvrollerderby.com to sign up for our next First Date!. 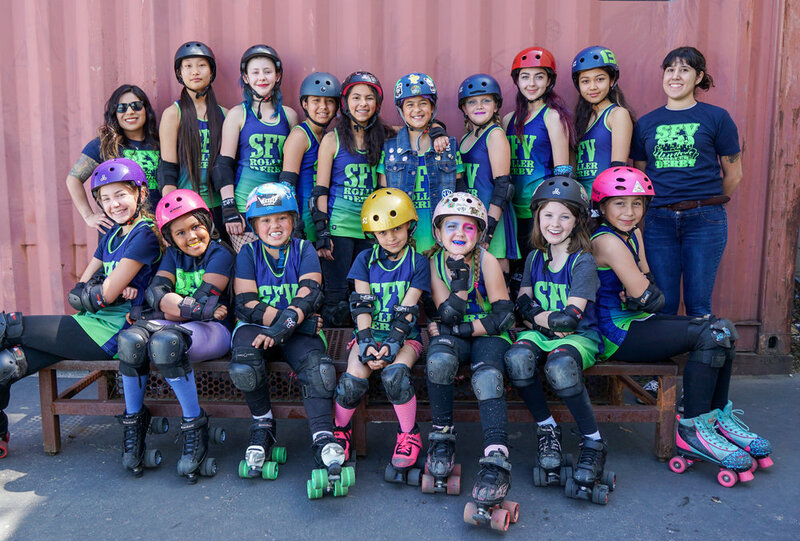 SFV Junior Roller Derby Now Recruiting! Want to join the SFV Gnarlies on the track? Looking for a new sport to try? Recruitment at SFV Junior Roller Derby is open all year! Learn to skate, get into shape, make new friends and of course, play roller derby! Checkout our Juniors page for more information!